If you think about it, your iPad or iPhone is the perfect street performer companion. 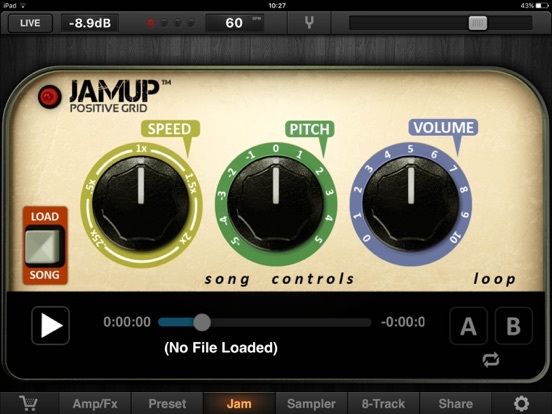 Guitarists, you’ve got loads of amps and effect pedals on your phone with JamUp Pro XT – and a Audiobus to stream your guitar into a looper like Loopy HD (both highly recommended apps). 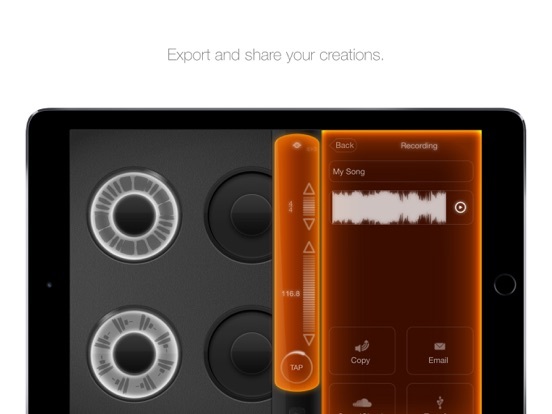 If you’re a keyboardist, you’ve got unlimited sound possibilities from all of the synthesizer and sampler apps like BeatMaker 2 and Magellan, all on a super portable device you can take with you anywhere. 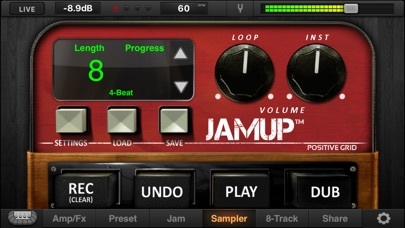 There’s no need to bring expensive keyboards or amps, all of the sound can come from your iOS device, and your gear (amplifiers aside – solution) can be powered by your iOS device – even with your iPhone! 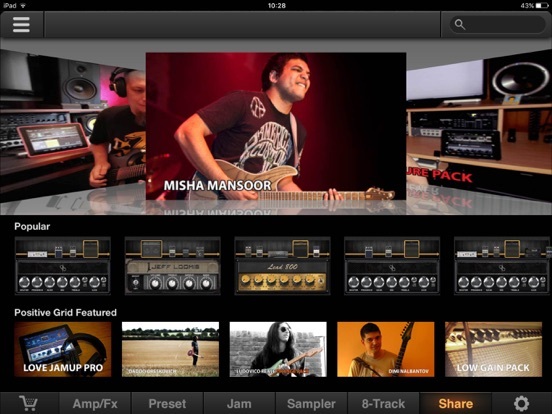 Here’s a guide to the some apps and gear you can use to start perform with your iOS device on the go! Note: On iOS 7, you can connect USB gear to your iPhone via the Lightning USB adapter OR with the iPad Camera Connection Kit + Lightning -> 30 pin adapter. If you have an iPhone with a 30 pin port, you can directly connect the iPad CCK as well. 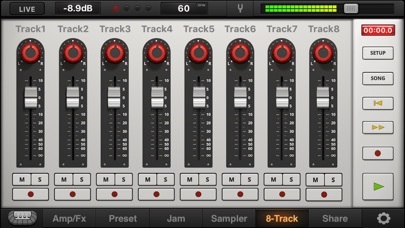 See this tread on the iOS Musician Forum to see what gear readers have successfully/unsuccessfully connected to their iPhones without needing a powered USB hub. The Roland Cube street is a battery powered (6 x AA, maximum 15-hour continuous use) portable amplifier ideal for the job. 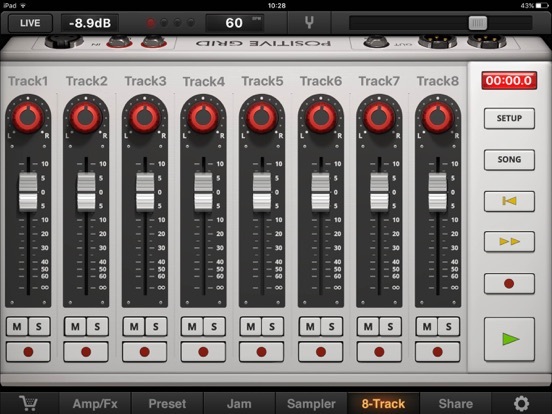 It has dual-channel architecture with guitar/instrument and microphone/line inputs, and a stereo aux in for plugging in an iOS device. This is a pretty large sized keyboard that can be powered by just your iPhone or iPad. A 61 key version is also available but I do not own one so I can not confirm (can you?) that it works with out a powered USB hub. Anyway, thanks to MIDI Learn, you could connect MIDI controllers and assign knobs inside your synth apps to the knobs on your controller to improvise with. If you play guitar too, loop your guitar and tweak a synth over it. I recommend this guitar interface over others because it has an attached guitar cable – one less piece of gear to cary around. Also: the iRiffPort also has an extra headphone output on the end that plugs into your guitar which is GREAT for practicing with headphones on as you don’t need to constantly be hunch over your iPad. These Bluetooth pedal boards are great. Especially for street performers – no wires. 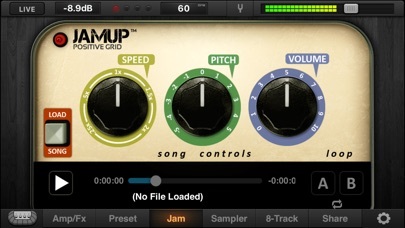 You can assign the pedals to control different things in Loopy and JamUp via MIDI. 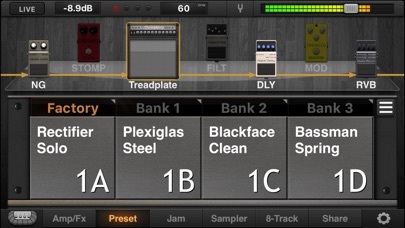 If you already have a MIDI din pedal board, check out the iRig Pro. 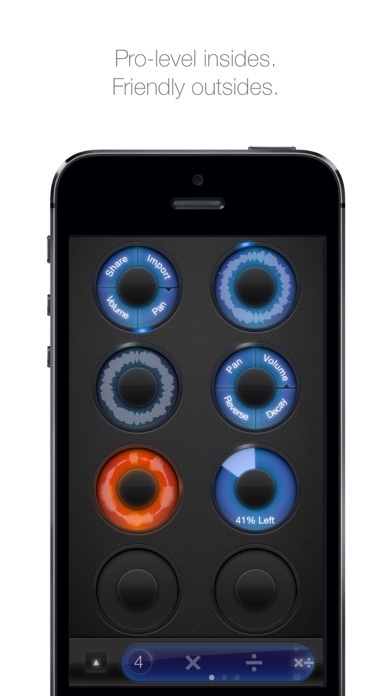 It’s a audio (guitar + XLR) and MIDI din interface for iPhone, iPad, and Mac. Your MIDI controller may require an external power source, nothing a portable power supply can’t fix. 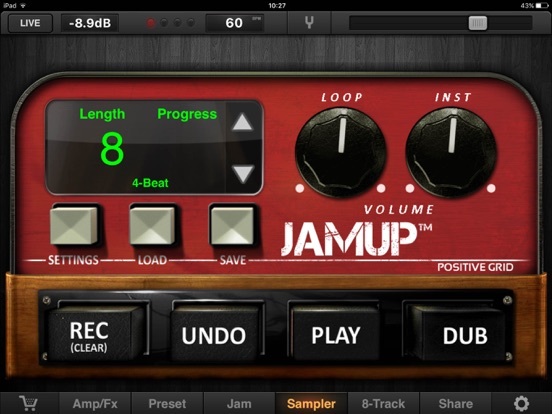 First of all, JamUp has the best tone available on iOS. No questions asked. You can assign it’s amps and FX to the pedals on the AirTurn / BlueBoard / Core MIDI compatible pedal board. 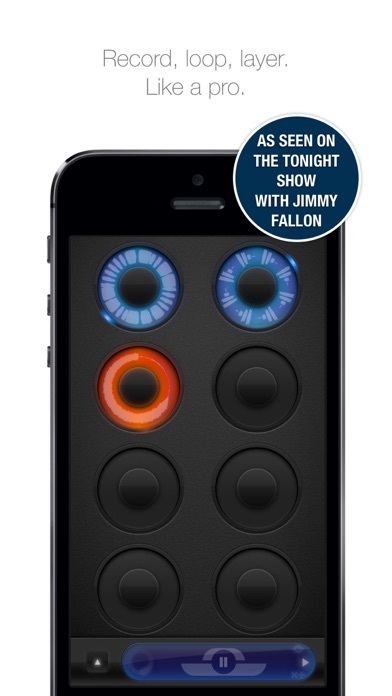 As seen on The Tonight Show Starring Jimmy Fallon -- Create music with Loopy by layering looped recordings of singing, beatboxing, or playing an instrument with a savvy, sophisticated, tactile new looper that totally reinvents the formula. See also Loopy HD for iPad! 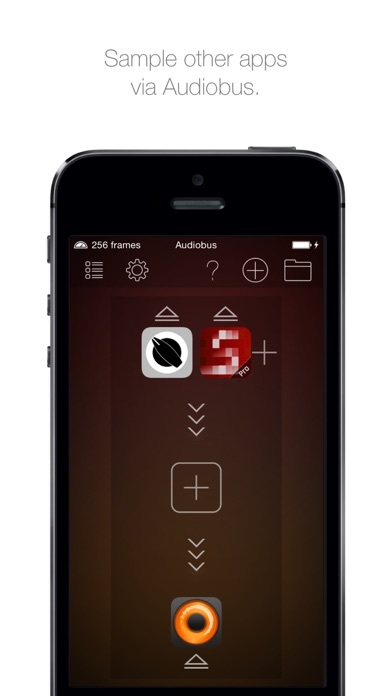 Compatible with the Audiobus app: Now you can receive live audio directly from other Audiobus-compatible apps! 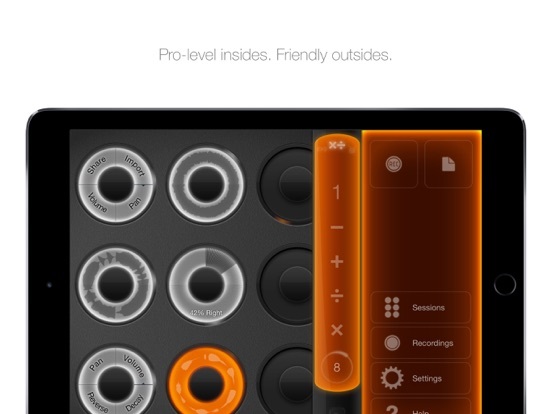 - Up to twelve beautifully rendered circular loops, with simple yet powerful controls. - Bring in audio from many other audio apps with integrated MAPI AudioPaste, with support for Intua general pasteboard format. - Email audio clips (with automatic conversion to compressed AAC audio). 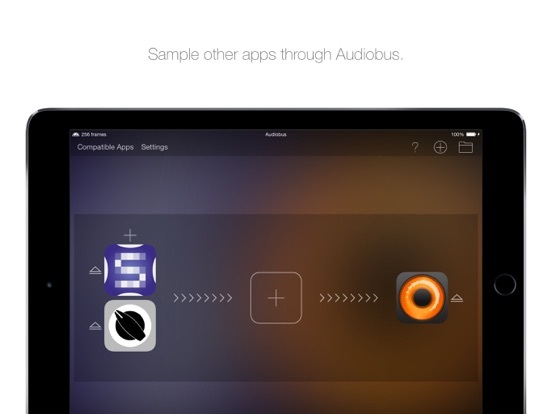 - Share audio with many other audio apps with MAPI AudioCopy. 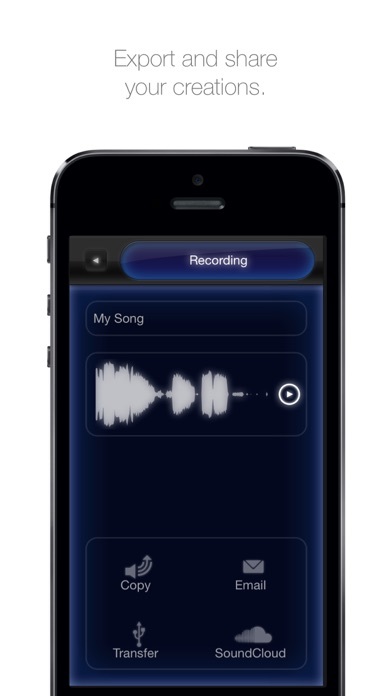 Note: Loopy is a demanding application that requires an iPhone 3Gs and newer, or iPod Touch 3rd generation (with headset recommended) or newer to run well. Older devices are not recommended for use with Loopy. 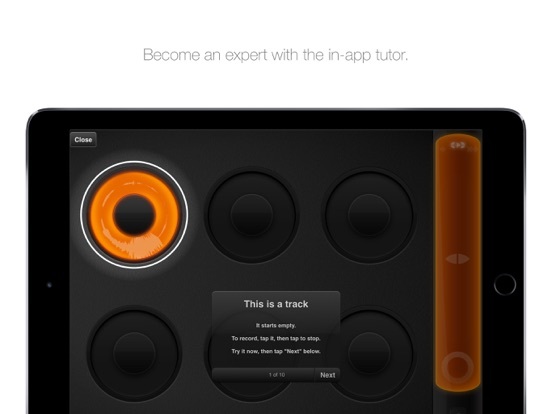 Loopy is developed by one guy who loves making great apps, and who is dedicated to responsive development and support. Please contact me with questions, bug reports, feature ideas, and other feedback at [email protected] or http://forum.loopyapp.com. I may be able to fix your issue in less time than it would take to write a negative review! If you’re looking to loop your guitar in your performance look no further than Loopy HD (review). 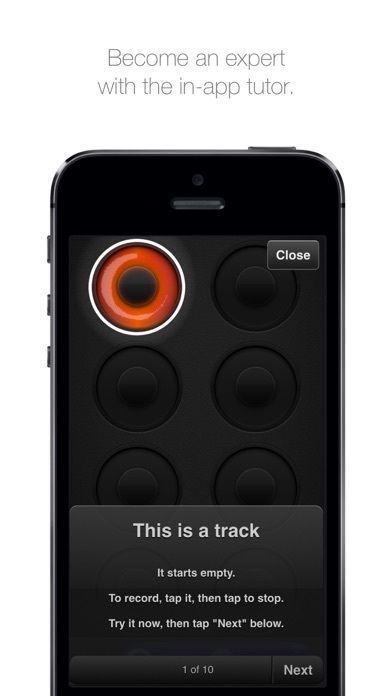 Paired with Audiobus, you can stream your guitar into Loopy and improvise over your recorded loops. 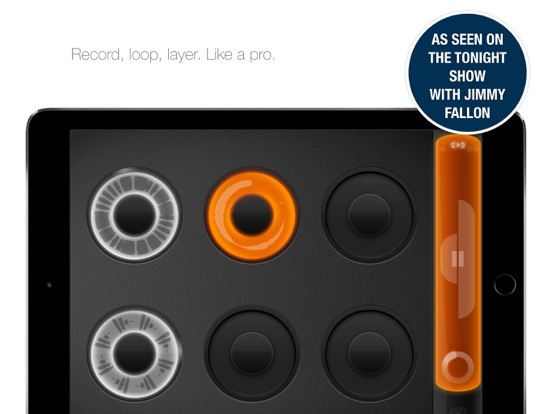 Clock synth Loopy with a drum machine app like Funkbox and now you’ve got drums, too. Loop some guitars and have a jam session over a drum beat! Street Performing is all about location and having a clever act, if you’re in the right place at the right time doing something that makes your audience smile, like, say, looping your guitar and sequencing drumbeats all on your iPad to improvise / sing over, your audience will practically throw money at you. Another great thing you can do is talk to other performers to see where/when they’ve had/haven’t had success. Good luck!